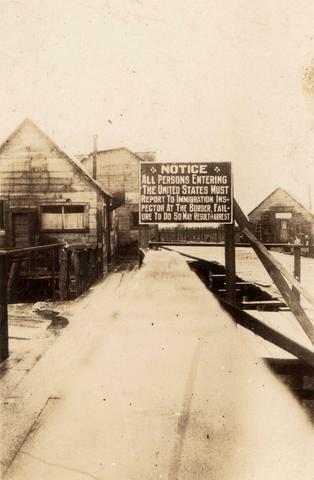 Black and white image of a sign at an American border crossing. Sign reads "Notice - All persons entering the United States must report to immigration inspector at the border. Failure to do so many result in arrest."